As one of the key instruments of governance, regulatory functions have increasingly been in the spotlight, subsequent to the 18th Constitutional Amendment. Regulation can take many forms but in the current context it refer to interventions initiated by the government to correct market failure, or the use of state power to impose constraints on organizations and individuals through a range of instruments issued by the government or non-governmental bodies to which the government has delegated regulatory powers. Amongst the things that can be regulated, price, quality, and numbers are the most salient. The mandate to regulate is sometimes the basis of tenuous relationship between a federation and its federating units and can lead to unnecessary turf rivalries between different levels of government. Such problems could emerge in Pakistan as provinces discover their newfound regulatory prerogatives after the 18th Amendment. With calls for new provinces whipping up, the ramifications of this trend could be immense. The recent controversy over devolving the Higher Education Commission (HEC) helps to illustrate this point. Amongst other things, the HEC is also a regulatory agency, prescribing standards and ensuring compliance. Proponents of devolving HEC opine that education is a provincial subject whilst those that argue for its national role bring to bear its regulatory function as a justification for its existence at the federal level—a role, which the Implementation Commission has now accepted and is working towards retaining. Drug regulation is another example, which is a federal subject in most countries of the world—in fact regional regulatory models are coming up, evident in arrangements in the European Union, Gulf Cooperation Council countries and Latin America. The question of regulatory prerogatives has many dimensions—questions about national roles in subjects that have been devolved and the much bigger debate about defining national roles in federating systems in a globalized world where there is need for uniformity of standards. Federating systems in the developing world usually centralize normative aspects of regulation and tend to devolve implementing arrangements. The former is done to maintain uniformity and obviate duplication. Those that drafted the 18th Amendment were cognizant of the importance of a federal role in regulation and hence an Entry was introduced in Part II of the Federal Legislative List “All regulatory authorities established under a federal law”. However, there are questions centered on the validity of creating a regulatory authority to regulate a subject, which has been devolved by the 18th Amendment. This is illustrated in a question, which has arisen in the Sindh High Court with filing of a case against the Pakistan Standards and Quality Control Authority, which was created in exercise of the powers under a Federal law—the Pakistan Standards and Quality Control Act, 1996. The federal authority prescribes standards in an area—sugar—which, as an agricultural produce, is a provincial subject. The question relating to the validity of federal regulation in a devolved subject is also relevant to drug regulation—Entry 20 “drugs and medicines” was part of the omitted Concurrent Legislative List. In view of this ambiguity, various views are being mooted to establish a constitutional justification for retaining a federal regulatory role in the post 18th Amendment scenario. One view refers to Article 270AA(6) of the 18th Amendment, which saves all laws with respect to the omitted CLL, enacted prior to the 18th Amendment. These laws continue to remain in force until altered, repealed or amended by the ‘competent authority.’ However, this notion is subject to several concerns. First is the question of sub-constitutional vs. the Constitutional law, with the latter being supreme. Also, the expressions ‘saved’ and ‘competent authority’ have legal connotations in Article 270AAA. While laws have been saved, there are questions about who the ‘competent authority’ is with reference to the power to amend laws. Provincial assemblies and not the Parliament may now be the competent authorities in the given context. Secondly, experts are also drawing on the example of the USA, where the power to regulate can be exercised by virtue of the federal subject of interstate commerce. An analogy is being drawn with the prerogative in inter-provincial commerce and federal powers by virtue of Article 151 read with Entry 6 of Part II of the FLL. However, other experts are of the opinion that on a textual analysis, Article 151 does not seem to cover ‘regulation,’ as understood in the present context. The third potential mechanism, may be to have any draft law to create a federal regulatory authority approved by the Council of Common Interests (CCI) prior to promulgation by the Parliament. Subsequent to enactment, such regulatory authority would be subject to supervision and control of the CCI at which the four Chief Ministers and the federal government are represented. Based on this, it could be argued that through the forum of CCI, the provinces have acquiesced in the federal government, regulation of an otherwise devolved subject. However, one key weakness in this approach is the counter-argument that the Chief Ministers, whilst participating in the CCI, do not directly represent or are synonymous with the provincial assemblies to which the ‘legislative authority’ in respect of the relevant subjects has been devolved and hence, on a strict interpretation, do not posses the authority and power to empower the Parliament to enact a law which is the constitutional prerogative of the provincial assemblies. Such approach could also be criticized as a circumvention of the mechanism expressly provided in Article 144. In sum, therefore, all the constitutional mechanisms being cited as the basis for retaining regulation at the federal level are fraught with some degree of uncertainty. Article 144 is the only valid and non-controversial mechanism in the Constitution, which can grant a regulatory mandate to the federal level. It is now imperative that provincial assemblies recognize the imperative and grant the federation a mandate related to regulation, where necessary. The federal government must, in turn, reform its own ability to regulate—its track record is less than desirable. The provinces will still continue to play a role in regulation in such an arrangement through policy oversight enabled through the CCI. The political and constitutional imperative of political autonomy is well appreciated. Within that context, the 18th Amendment is an important game-changing intervention. However, it is inevitable that many questions will arise in the wake of such a major transformation. The question related to regulatory prerogatives is just one of them. It is critical to carefully think through these questions so that progress towards the premise enshrined within the 18th Amendment can be sustained. April 19, 2011: Dr. Sania Nishtar’s interview in The NEWS International about how the 18th Amendment still enables the federal government to retain a national role in health despite provincial devolution can be read here. 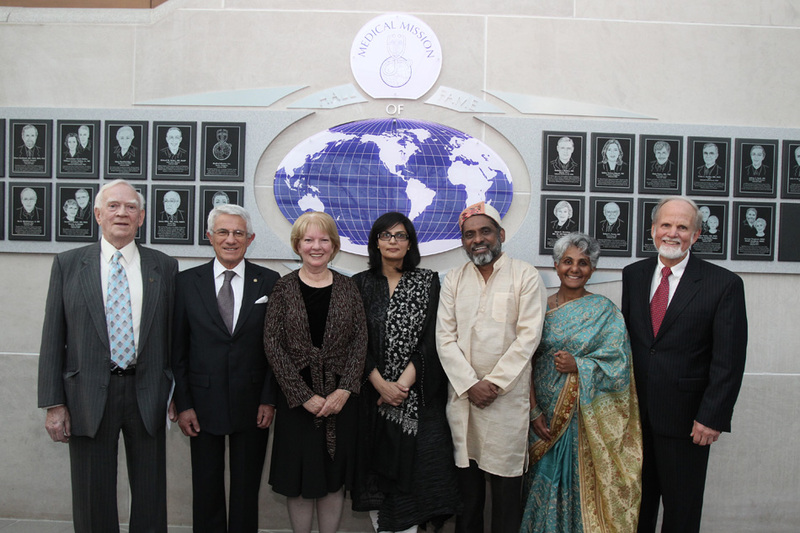 April 8, 2011: Sania Nishtar was inducted into University of Toledo’s Medical Mission Hall of Fame. April 8, 2011: The Center for Health Market Innovations (CHMI) identifies, analyzes and disseminates information about programs working to improve health care for the poor in countries with large numbers of private providers. CHMI has profiled a number of projects, which are working to improve the quality and affordability of health care for the poor. See CHMI’s profile of Heartfile’s Health Financing Project here. April 05, 2011: The 18th amendment to the Constitution of Pakistan has devolved several subjects including health from the federal to the provincial level. This has far reaching implications for health, changing the entire health systems matrix in Pakistan. Heartfile’s recent paper, Health & the 18th Amendment underscores the importance of a national role for health. The paper is in the public domain and can be downloaded now. Comments if any should be sent to sania@heartfile.org. In addition to this news posting, we have also placed a comment in the newspaper to solicit inputs from a wider audience. The Implementation Commission of the 18th Constitutional Amendment, in its recent session, has taken the final decision to devolve the Ministry of Education. The next round of deliberations will decide the modalities of devolving another set of ministries, including the Ministry of Health (MoH). My comment in these columns on December 25, 2010—the Vanishing Ministry—outlined several institutional considerations that need attention whilst making decisions in this regard. One of these refers to the question of the national role in health and related institutional arrangements. Lessons from other countries are instructive in this regard. There are at least 25 countries with federating structures where health is a fully devolved subject. All have federal institutions—a ministry, state department, directorates or equivalent institutions—taking responsibility for “national mandates” in health. For this and many other reasons, there is a strong case arguing against MoH’s abolition. Contrary to what is being planned, there is need for stepping up capacity within the MoH, as there are many ominous indications of its constrained capacity—the case of polio and H1NI are illustrative in this regard. But it seems, however, that for the Implementation Commission, “ministerial abolition” in subjects, which have been devolved, has become symbolic of the entire process of devolution. In view of this, the best option is to develop a constitutional solution for establishing a national role in health. Within this context, this viewpoint is being used to draw attention to a recently conducted analysis, on which inputs are being solicited. The paper presents the technical and constitutional rationale for retaining the national role in health and discusses options for a way forward as the Implementation Commission opens its discussions on the subject. The paper defines the following as national functions in health: health information and disease security, international commitments, drug regulation, certain aspects of human resource regulation, overarching norms, and standards where inter-provincial conformity is needed. It then goes on to discuss the impact of certain changes brought about by the 18th Amendment on these national functions—abolition of he Concurrent Legislative List (CLL), shifting of Entrees from Part 1 to Part 2 of the Federal Legislative List (FLL), insertion of a new Entry in Part 1 of the FLL, amendments in Article 144 and 270. The analysis opines that although sweeping changes have been made by the 18th Amendment, the Constitution of Pakistan still provides space for the federal level to assume responsibilities for most of the national functions referred to above. The only exception is drugs, where the constitutional prerogative to retain the federal role without the consent of the concerned provincial legislature, is less clear. While supporting “devolution of health” overall, the paper makes a strong case for also retaining a “national role in health” and underscores the need for an appropriate federal institutional arrangement to fulfill national health responsibilities. Attention is drawn to constitutional provisions and rules of business of the federal government, which when viewed in context of the present devolution drive, call for creating a Health Division. The paper also discusses systemic challenges, which plague the current MoH and stresses on the need to use the present opportunity to bridge these weaknesses as the ministry is “recast” as a Division. The relationship of five institutional steams, which are envisaged to report to/link with the Health Division, has been elaborated. On the question of the health policymaking prerogative, it has been accepted that with the responsibility for health completely devolved, the policymaking role has automatically been transferred to provinces. This notwithstanding, areas within the national policy purview have been enumerated and the convening fora for mandates granted to the national level under Part I and II of the FLL have been discussed—in particular prerogatives of the Cabinet vs. the Council of Common Interest. On the subject of regulation, the paper refers to the post-18th Amendment prerogative of the Parliament to create federal regulatory authorities and alludes to the problem which can arise when the subject for which a federal regulatory agency is created, is devolved. The complexity of this for the area of drugs regulation has been alluded to in detail in the paper. This consideration has implications for the regulatory mandate in many other areas/subjects, and deserves a dedicated discussion in another comment. With respect to drugs, the paper emphasizes the strong policy rationale for retaining regulation at the national/federal level and elaborates why the appropriate constitutional mechanism to enable that is Article 144. Other subjects touched upon in the paper include national functions with respect to service delivery, national public health programs, health information systems, human resource, federal fiscalism, health financing and international agreements. With respect to the national public health programs, incremental devolution has been recommended and a unified interim federal structure has been described to assume responsibility till such time that provincial capacity is fully developed. A case has been made for folding all programmatic activities, such as research, health information and mobile service delivery, in other cross-cutting interventions. The need for retaining a unified minimal federal structure has also been flagged to support functions on an ongoing basis where inter-provincial policy coordination is needed. The analysis states how the amendment does not drastically alter federal functions related to human resource but describes the interplay of provincial concurrence, which may now become necessary for human resource decisions at the federal level. A section of the analysis clarifies the constitutional position with regard to health information, which the viewpoint argues is an important national/federal responsibility in the wake of disease security concerns. It clarifies that constitutional provisions potentially enable the function to be retained federally, but makes a strong case for reform of the health information institutional landscape to bridge current weaknesses in individual streams. It also calls for creating an apex mechanism to comply with International Health Regulations, 2005. Through this comment, I am soliciting inputs on the draft paper. A copy of the latter can be made available by sending a request at sania@heartfile.org. Meaningful feedback will be collated and acknowledged in the paper. This comment will also be followed by a more generic comment, which draws on insights from the analysis for other sectors. April 01, 2011: Through the Health Lens: The Aftermath of the 2010 Pakistan Flood, a Heartfile report done in collaboration with the Institute of Social Policy & Understanding, Washington, can now be downloaded from our website. The 2010 floods were one of the worst humanitarian disasters in the country’s history and the report provides in-depth analysis of the health ramifications and practical recommendations for the future.